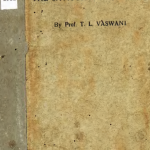 This seventeenth-century text by the Gaudiya Vaishnav theologian Vishwanath Chakravarti maps out the soul’s progress through a series of spiritual states to the supreme goal of prem-bhakti in great detail. It also describes the various obstacles on the path and reveals the ways to overcome them. This edition is finely elaborated by Radhakund Mahant Shri Anant Das Babaji Maharaj’s commentary. 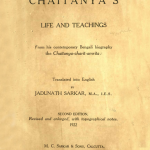 This is a translation of Manindranath Guha’s classic Bengali book on the beliefs and practices centrering around the Holy Name. It introduces and elaborates upon the power and significance of Holy Name worship in the form of quiet repetition and collective singing (kirtan). Devotees wishing to discover Shri Radha and Krishn’s pastimes in eternal Vrindavan may read about them in detail in this work by Shri Vishwanath Chakravarti Thakur. It describes the ashta-kaaliya-lila, the divine pastimes of Shri Radha and Krishn at every watch of the day and night. This work by Shri Raghunath Das Goswami describes an amazing lila in which Shri Krishn sews pearls in the ground, attempting to grow pearl plants. When the gopis follow suit, unexpected results give rise to hilarious conversations, and the profound love of Shri Radha and Krishn is revealed. 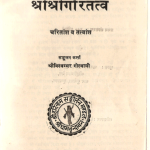 An important philosophical text by Shri Sanatan Goswami, the Brhad Bhagwatamrit is written as a series of easy-to-understand stories. Which holy place is the highest Abode? Who is the greatest devotee of Shri Krishn? This riveting narrative carries readers away on an epic journey where the answers to these questions and more are revealed. The Padyavali is Shri Roop Goswami’s compilation of gorgeous and inspiring verses by various authors, in praise of Radha and Krishn and various aspects of the bhakti path. Stavamala is a collection of poetic meditations by Shri Roop Goswami in praise of Shri Radha and Krishn, Their Abode, Their associates and so forth. 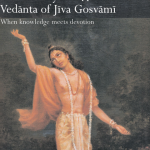 Upadeshamrit is a set of eleven verses from within Shri Roop Goswami’s Stavamala, which contain specific advice to aspirants on how to progress on the path of bhakti. Shri Chaitanya Mahaprabhu did not write any texts, but rather invested his followers, the six Goswamis, with the power to describe the secrets of His own heart through their writings. Still, there is a single poem of eight verses, which is known to have flowed from Mahaprabhu’s lotus mouth, and that poem is the Shikshashtakam. Through these eight verses, Mahaprabhu gives personal guidance to the aspirant and reveals a glimpse of the bliss He experienced as He drowned in the ocean of Shri Radha’s love. In the Raag Vartma Chandrika, Shri Vishwanath Chakravarti Thakur describes the path of raganuga bhakti, providing guidelines on how to practice this path, and reveals the goal attained by accomplished raganuga aspirants.